LDA is working for you to ensure appropriate instruction and supports for students in the middle grades (grades 5-8), so they can be successful in high school and graduate prepared for postsecondary education and meaningful employment. LDA is partnering with other national organizations including, the National Middle School Association, the National Association of Secondary School Principals, the College Board, and ACT for passage of the Success in the Middle Act (H.R. 3006; S. 1362). The bill would provide grants for states to implement improvement plans that describe what students must learn to successfully complete the middle grades and to succeed at rigorous high school coursework. In addition, grants would be available to local school districts to implement a comprehensive middle school improvement plan for each eligible school. Research shows that sixth graders who don’t attend school regularly, exhibit poor behavior, or fail math or English are very likely to drop out before high school (Balfanz and Herzog, 2006). According to ACT, “the level of academic achievement that students attain by eighth grade has a larger impact on the students’ college and career readiness upon graduation from high school than anything that happens academically in high school.” For students with learning disabilities, the successful transition from elementary school and a strong foundation in the middle grades are critical to preparing them for the challenging work of high school. 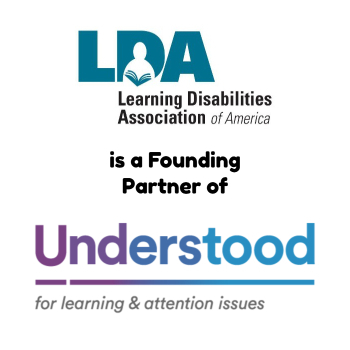 LDA’s advocacy is critical to ensuring members of Congress understand the positive impact this bill will have on the academic success of students with learning disabilities. LDA recently responded to the U.S. Department of Education’s request for public comments on proposed priorities and requirements for the Race to the Top Fund. $4.35 billion in competitive grants will be awarded to States implementing significant reforms in the areas of standards and assessments, teacher effectiveness, data collection and use, and support for struggling schools. The Department’s request for comments gave a proposed definition for “student achievement,” which included as an example the rate of students’ progress in meeting IEP goals. In keeping with its longstanding position, LDA let the Department know that the organization opposes any use of the IEP as the accountability tool for measuring performance of students with disabilities. 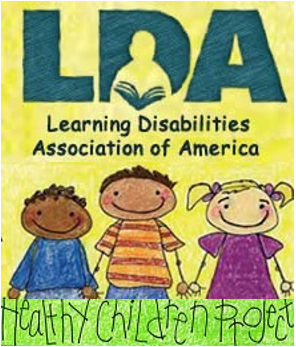 LDA informed the Department that any attempt to use the IEP as the accountability measure for students with learning disabilities would be viewed as a major reversal in efforts to ensure that all students are challenged and taught to high standards and to hold states equally accountable for the progress of all students. Read LDA’s comments and all other comments submitted. States will have two opportunities to apply for Race to the Top grants, once late this year and again in late spring 2010. Funds are designed to encourage and reward States that are achieving significant improvement in student outcomes, closing achievement gaps, improving high school graduation rates, and preparing students for postsecondary education and careers. Half of the State’s grant must be given to local school districts, which agree to implement the State’s plan for use of the funds. Earlier this year LDA representatives, along with other member organizations of the Learning and Developmental Disabilities Initiative, met with members of Congress in Washington D.C. to urge support for the Kid-Safe Chemicals Act. The Act, to be reintroduced later this year, would require chemical manufacturers to test chemicals for health effects and prohibit the use of toxic chemicals. Under the leadership of Maureen Swanson, director of the LDA Healthy Children Project, LDA representatives from New York, Maine, California, Minnesota, Connecticut and the national office in Pittsburgh participated in the meetings. Recent news reports on the use of Bisphenol A in the manufacturing of baby bottles have heightened awareness of the dangers of exposing children to toxic chemicals. LDA supports the Kid-Safe Chemicals Act because the current governmental regulation of these chemicals does not provide adequate protection to the public. Out of the 80,000 chemicals used to produce the products found routinely in homes, the Environmental Protection Agency (EPA) has only required testing of 200. The Kid-Safe Chemicals Act would establish a safety standard for each chemical on the market. It would also shift the burden for proving chemicals are safe from the EPA to the chemical manufacturers. Manufacturers would have to provide the EPA the data necessary to determine if a chemical is safe, and the EPA would have greater authority to restrict the use of chemicals that fail to meet its safety standards. A growing body of research indicates that many learning and behavior problems are linked to toxic chemicals that are widespread in the environment and in products people use on a daily basis. The LDA’s Healthy Children Project works to reduce the effects of environmental contaminants on brain development, especially in children. Get more information on this vital LDA project. LDA annually participates in the Leadership Conference of the U.S. Department of Education Office of Special Education Programs (OSEP) in August. This year’s conference included a number of sessions on an area of great concern to LDA: early childhood education. Highlighting the Administration’s efforts to ensure a strong educational foundation for young children, Senior Advisor to the Secretary for Early Learning Dr. Jacqueline Jones spoke about a bill currently working its way through Congress which includes the Early Learning Challenge Fund. A new competitive grant to States, the program would provide funds to improve systems of early childhood education for children birth to five, with the goal of increasing the number of low income and disadvantaged infants, toddlers, and preschoolers in high quality programs. Dr. Jones, who trained in speech pathology and communication disorders, talked about the bill’s requirements to include young children with disabilities in all aspects of the program. Each State would be required to develop a plan that must ensure early learning standards are integrated into early learning programs for children with disabilities. In addition, the bill would establish a national research and evaluation commission to improve school readiness outcomes of children with special needs. Click here for more information on the Early Learning Challenge Fund. LDA will keep you updated on this important legislation. Find more information from the OSEP Leadership Conference, including copies of presentations, video links, and a speech by U.S. Secretary of Education Arne Duncan. Regardless of political party, disability rights advocates across the country are mourning the loss of Senator Ted Kennedy. From an early age, the Senator’s connection with disability was personal and deep through the experience of having a sibling with an intellectual disability. That personal connection was intensified by son Teddy’s diagnosis of cancer and a subsequent amputation and son Patrick’s struggles with bipolar disorder. As a legislator, Senator Kennedy took up the cause of disability rights as just another aspect of his commitment to civil rights for all individuals. Among his many legislative accomplishments, in 1990 Ted Kennedy was instrumental in negotiating and passing the Americans with Disabilities Act (ADA). 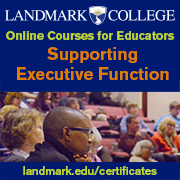 This influential law allowed access to schools, workplaces and public and private accommodations. The ADA demonstrated that, by literally and figuratively opening the doors to individuals with disabilities, a whole segment of the population that had been denied access to education and employment could be contributing members of society. Kennedy impacted the lives of individuals with disabilities through many other legislative accomplishments. With his strong support, Congress passed several reauthorizations of the Individuals with Disabilities Education Act, ensuring a free appropriate education for children and youth with disabilities; the Family and Medical Leave Act, allowing employees time off to care for loved ones; and the Fair Housing Act Amendments that added disability to the protected classes covered by the law. His active support of health care reform always reflected the impact any legislation would have on lives of individuals with disabilities. The Learning Disabilities Association of America joins with our disability advocacy partners in praising the work of this consummate legislator and mourning the loss of his leadership and his true humanity as the work continues.